Your here： Notice » What is brushing rhinestone? What is brushing rhinestone? Is it as same as sticking rhinestone? 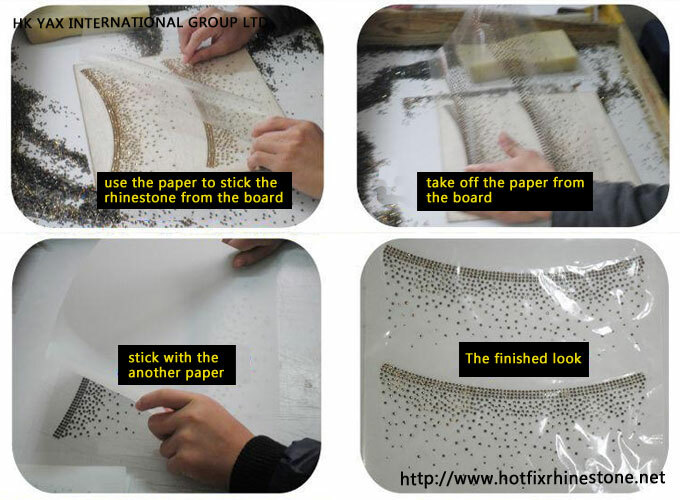 Hot fix motif knowledge --- Technical terms of hot fix motif processing: brush rhinestone,stick rhinestone. As for the brush rhinestone,stick rhinestone,produce hot fix motif,hot fix rhinestone processing,layout artwork and hot fix motif processing, all of those are the process of layout and fix the rhinestone on the hot fix tape, it is also called hot fix motif production.As for sticking rhinestone,to be specific,it means iron the finished hot fix motif design on the clothes,it also can be a process of producing rhinestone sheet.